Early childhood education, defined as the nurturance of cognitive, emotional and physical growth of children from birth through age 8, is inarguably the most productive and fruitful window for establishing the life trajectories of kids. 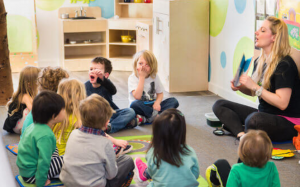 This relatively short period of dramatic physical and neurological expansion, of psychological and emotional growth, is paramount in its importance for child development. Yet, that fact seems pretty much ignored by education experts and policy makers who spend an unconscionable amount of time, energy and money on engineering and assessing the results of particular formal academic lessons or programs, while largely ignoring the primary issues of human growth and development for a truly fulfilling life. It seems to me that there has always been a constant hum of conversation and opinion about how poorly our most important teachers—our day-care, preschool and primary teachers, our caregivers—are paid. They lead the charge while holding squirming babies, and then organize and start the parade that all of the rest of us so-called professional educators move along once that heaviest of lifting is done. Preschool teachers and caregivers are in many ways the most important people in the entire education system…unless we count stay-at-home parents, which we absolutely should. Both of these groups are responsible for what most folks don’t even consider important work. Parents and caregivers represent the least respected among us when actually, if taking their quintessential work seriously, their efforts lay the foundation for everything else. Weak foundations yield shaky structures, and poor or random workmanship at this most fundamental of levels leave structural flaws and faults that can doom the best of more visible and sadly more respected work. Caregivers are called that, not educators, because they typically don’t have any kind of certification or credentialing that identifies them as valuable for children. In this country, they are given no legal or societal claims to respect and support. Caregiver suggests that their job is merely to keep tummies fed, faces washed and bottoms dry. While critical in the most immediate sense, what’s more important in the long run is the social and conceptual growth that children learn (…or don’t!) while the rest of us are off doing dramatically less important things. Children’s earliest experiences are life-altering for good or ill and the more time and money spent in ensuring those experiences promote eager learning and positive social interactions, the better. Truly good child care* facilities mirror good homes—not quiet places, but full of inquiry and interaction; not pristine, but happily untidy; certainly clean, but lived in; not regimented, but organized; full of safe things with which to play and good books, lots of good books, the essential tools for developing language and baseline knowledge about the world beyond this safe place and how it works. Naturally, crying gets the most attention, but at best, there is always lots of talk and laughter making these places perfectly suited for children learning language, positive social interaction strategies, literacy; maximizing the likelihood of growing up well and eager to take on the world; and most importantly, optimizing the likelihood that they will grow up to be good caregivers of themselves and the world. *Note: I did not say “day care” because they care for children, not days.